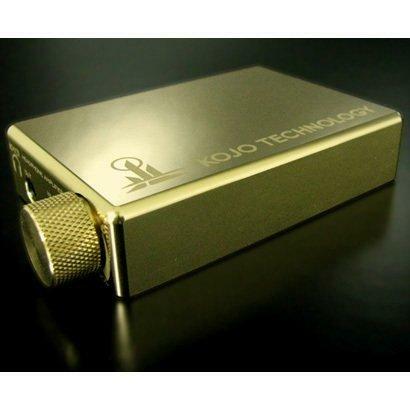 Bringing Musical Fidelity design expertise, world-class engineering, and outstanding sound quality to portable audio was an immense challenge. 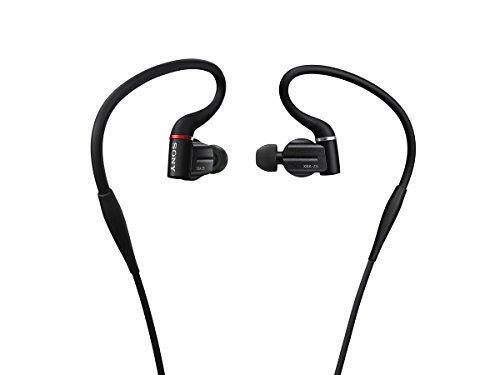 But Musical Fidelity was ideally placed to deliver on that challenge, and the results are Musical Fidelity headphones. Ideal for those who travel but also like to listen at home, Musical Fidelity headphones are designed to help music lovers enjoy their favorite tunes anywhere. The MF-100's were designed to make a beautiful lifelike sound. You can hear the artist's creation as it was intended to be. They are light, comfortable and durable. Long listening sessions are a pleasure. The MF-100's drive units were designed from the ground up to give a flat and wide frequency response with low distortion. This gives a completely natural, stress-free sound. 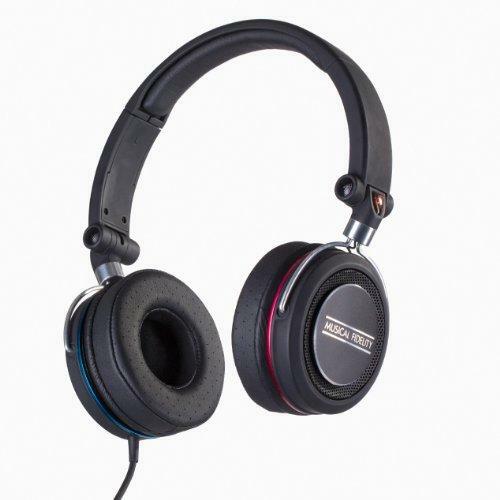 The drivers are 41mm Dynamic Type and boast a frequency response of 20 Hz ~ 20 kHz. The earpads are a subtle combination of fine materials and refined design. The leather earpads are designed for maximum comfort (a spare pair of extra comfortable Alcantara pads are included). At the same time, they give excellent sound isolation. Your music doesn't disturb anybody and vice versa. 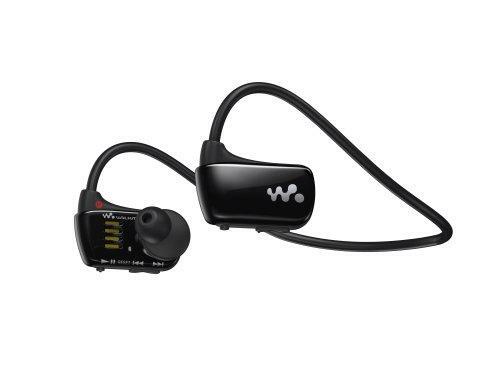 The ergonomically designed earpad forms an excellent seal, which ensures deep powerful and clear bass. Specially designed transparent fabric has been used for the center of the earpad (covering the drive unit). Using your MF-100 with your smartphone? Built into the headphone cable is an in-line iDevice control, including a microphone and button for taking calls. Every part of the MF-100 is made of high quality materials which enhance the durability, tactile sensations and sound quality. Musical Fidelity's award winning design team identified and focused on several critical areas to achieve its aims of natural lifelike sound, lightness and comfort, and durability. Pros - Amazing level of detail, tight expansive bass, comfortable, authentic tone, Bargain Price! I was asked to listen to the Musical Fidelity MF100 and received them about 4 weeks ago. 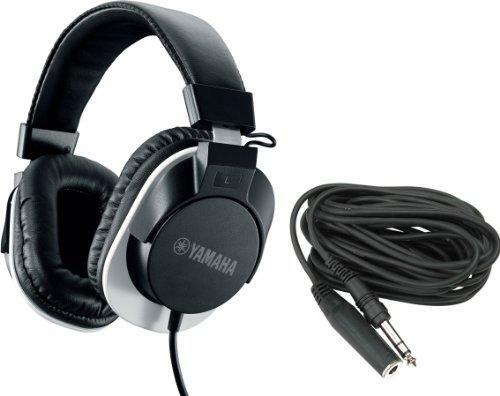 I get quite a lot of headphones through my door, I only review the ones I like and I like these a lot. 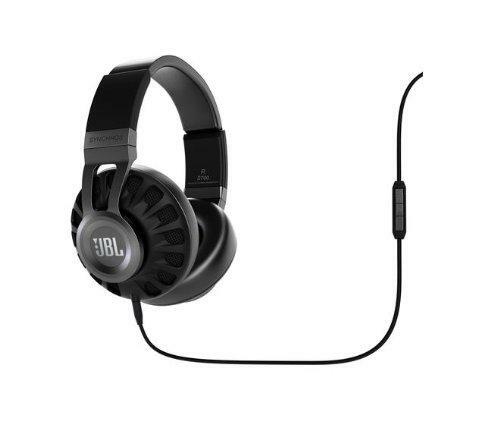 I had been considering buying these but have seen very little coverage of them on Head-fi and have very mixed comments. I am no Musical Fidelity fan-boy; the only product I have used is the VDac and whilst it is a good product there are certainly better alternatives. The box they come in is white, which gives the headphones an almost angelic appearance. Inside you find a jack adapter, a rather swish looking velvet bag and two extra Alcantara earpads. The earpads that come fitted to the MF100 are aerated soft pleather. The pads are comfortable; they have what feels like memory foam inside. Initially they are a bit stiff but have softened slightly over time. The pads do affect the sound; not a night and day difference but the alcantara seems to soften and smear leading edges. The pleather pads also increase the volume a few decibels. The rest of the build is very nice, plastic is the order of the day but it's a high quality 'soft touch ' type. There is metal here too, the connecting arms are chrome and there is an aluminium disc on each cup bearing the maker's name. It's here on the cups that the build's two faults live. The first is not really a fault, but I prefer detachable cables and this one is firmly attached. It is a nice cable though, genuinely non tangle with a good quality jack and a nice aluminium one button remote. The second fault is harder to ignore. The wire that runs from left cup to right comes out the top of the cup and enters the headband above. It's not hard to imagine getting it snagged, but I have had a similar set-up on Sony’s CD900st and Beyers and have never damaged them. I wasn't the first to listen to these when they arrived. My friend Jason has been a Bose fan for ages; when I bring in new cans he usually dismisses them and goes on about the amazing comfort and easy going nature of his AE2s. This time I left him with the MF100 and came back a couple of hours later. He looked seriously pissed off when I returned, he had been listening to some jazz from Gary Grant. He loves listening to Gary through his Bose but had just discovered that there was a whole high hat missing on his favourite track. He quietly asked me where to get the MF100 and how much they would cost. I topped his day off later that day by scoring 55 on flappy birds. At this point I took them off and plugged them into my amp at home, hit play and left them for a couple of weeks. "Ahhhhh that's better". The sibilance was gone. I listened to the whole album and I honestly have not heard it rendered better than with the MF100. The La’s were at their best playing live. The studio robbed their album of the raw, visceral attack they had when I saw them in '91, but it is present on the BBC sessions, and the MF100 nailed it. I think these are the best on-ear design I have ever heard. They present amazing detail, fast transients, deep accurate bass, great imaging and they make me smile. I have told my wife countless times over the last week how much I love ..... the MF100, I have been subconsciously grooving on the bus, air conducting and smiling more than usual. My current travel can is the excellent Sony MDR-1R. I thought it would be a good comparison, I am afraid there is no comparison. The MF100 makes the Sony sound slow, dark, muddy and dull. The Sony does offer slightly better isolation when out and about, the MF100 is still good enough for me on the morning commute. There is a very Simon Garfunkel feel to this track but it provides a good demonstration of the MF100's tone and separation. The guitar at the beginning sounds so warm and woody, the finger picks are easily identifiable. The song builds slowly and introduces new instruments at each new verse, the violins that start at verse 3 sound very authentic, the whole song is enveloping. I noticed that there is more than one vocal track on this, not just the obvious harmonies but during Beck's vocal, it's decay is slightly longer than Beck's. On the MDR-1r the instruments melt into each other more, losing some definition in the process. Overall a wonderful song that really makes the MF100 sing. Morning Phase is a cracking album. I really hope it appears in Hi-Res. genius when choosing artists for RAM. There is a bass-line that hits at around 25 secs and this really reverberates on the MF100, its deep and the decay lasts much longer than the Sony. This track shows the imaging and layering perfectly, the vocal is up front and centre, the robot voice expands out left and right a bit more and the bass seems to come from below the singer. If you ever have a doubt about the bass on these, try this track. Black inky background , bass drum from the left , strange tape hiss sound is here as expected. Her voice is full of emotion, imaging is excellent , there is height as well as width to it. I can hear the saliva on her lips as she opens her mouth, how awesome is that! These cans are so detailed , it's jaw dropping. This song sounds like Suede to me, well Suede do sound like Bowie so no surprise really. At 1:29 it has some guitar layered on violin, still a little sibilant here. That’s the only fault I can find, the guitar underpins this track and the MF100 follows it perfectly , never losing its place. The backing vocals come in from far left and right, again the sound stage on these is good and not just for closed cans, they rival some open ones as well. I love this track. Its thick with instruments and good headphones present each one in its own space. The MF100 allows you to pinpoint each guitar, bell , triangle and strange window wiping sound with NASA- like accuracy. These cans work with the music; some headphones I have heard seem to have difficulty following a bass line, or in extreme cases you can even lose the tune of a song. I think smeared leading edges or over-long decay can cause this, sometimes (as was the case with Jason's Bose) an instrument is lost and without it the song's flow is lost. These have no such problem. I really love these headphones. I would never use the MDR-1R at home, it's a portable, and at home it doesn’t stand up against my other 'home' headphones. The MF100 is perhaps the first headphone I have found that I am happy using at home as well as on the move. I am also struggling to think of a headphone I have heard under £300 that betters it. If you like your cans to sound romantic with a tube-like warmth and richness; the Sonys would be your better choice. If however you want razor-sharp transient response , microscopic detail, accurate imaging, all underpinned with tight deep bass then the Musical Fidelity may just be your cup of tea. nick n, MrTechAgent and SaLX like this. I felt that the ear cups would clamp on to my ears when I had these headphones but other than that they were phenomenal; keep in mind that I am not a audiophile, and it was the first time I bought headphones over a £100. I sadly had to return the headphones, as it felt too tight on my ears. If they were just more comfortable, without a shadow of doubt, I would have kept them. How does it compares to ATH-M50? I quiet enjoy the M50. I am not an audiophile as well but interested with this MF100. Would it be an upgrade over the M50?